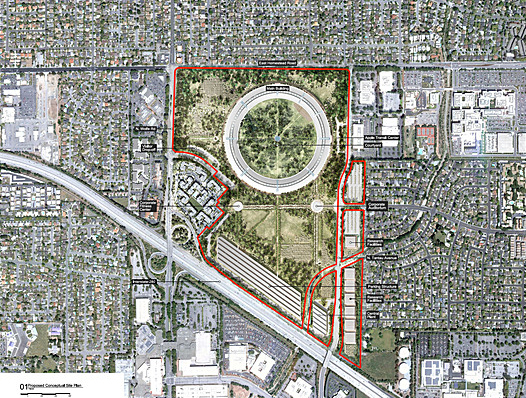 The complete set of updated drawings for the planned Apple Campus 2, which were submitted by Apple to the City of Cupertino last month, have been made public. 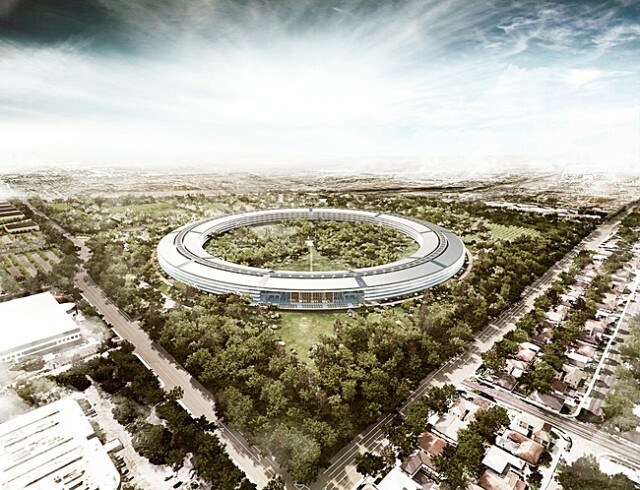 Since a giddy Steve Jobs first announced the Foster + Partners-designed campus in June, much attention had been focused on the formal qualities of the 2.8 million square foot office building, in part because the company was withholding of the highly-guarded plans–so much so that journalists and bloggers resorted to publishing low-quality screen grabs pulled from Jobs’ recorded presentation. 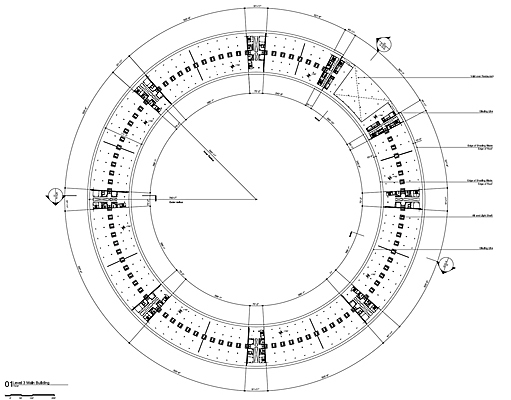 In mid-August, an initial folio of drawings were made available, which were further revised until early October. 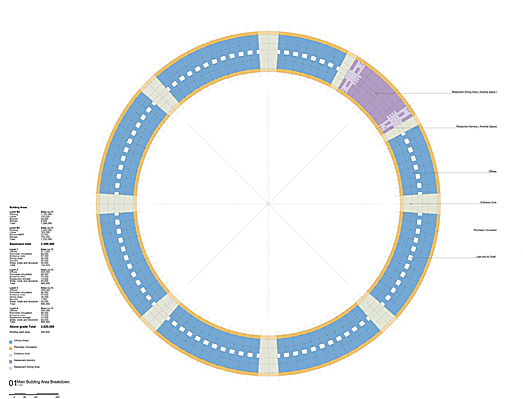 Of the new details disclosed about the invariably nicknamed project (“spaceship,” “doughnut,” “the Core,” “Fruit Loop”) are several additions, including a company spa, an underground auditorium, a dramatically expanded fitness center, and private jogging paths. 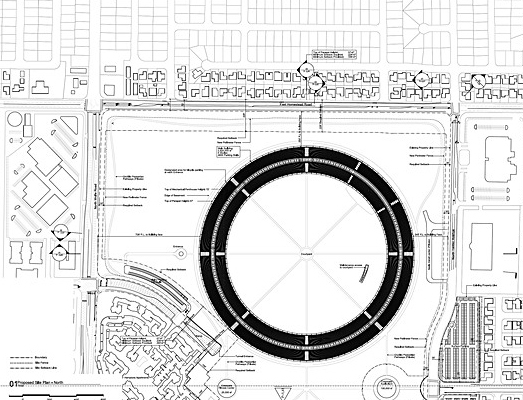 Looking at the drawings, the most conspicuous of these is the partially submerged four-storey parking structure and the much-tooted “Central Plant” that lies adjacent to it. 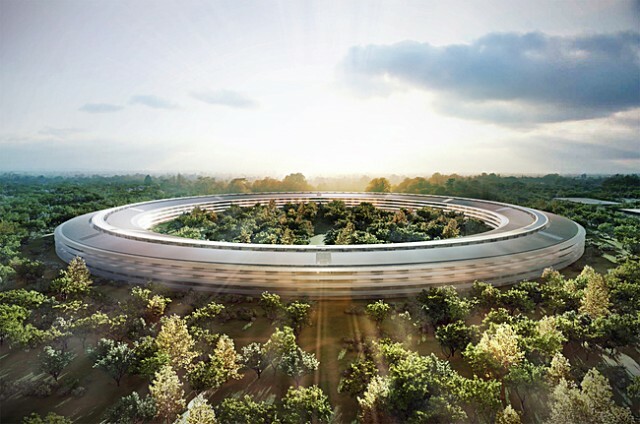 Gizmodo also points to 300,000 square-feet of research facilities which are independent of the mothership, while city officials announced that the roof of the entire complex will be fitted with solar panels. 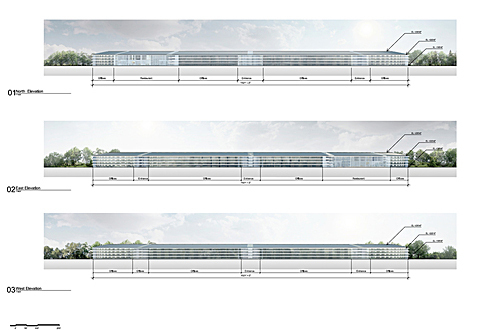 The plans also articulate landscaping for the site, with provisions for 38 arboreal varieties–from evergreen and decidious oaks to Honey Crisp apple and sweet cherry fruit trees–which will comprise the 6,000 total number of trees to be planted on the campus grounds. 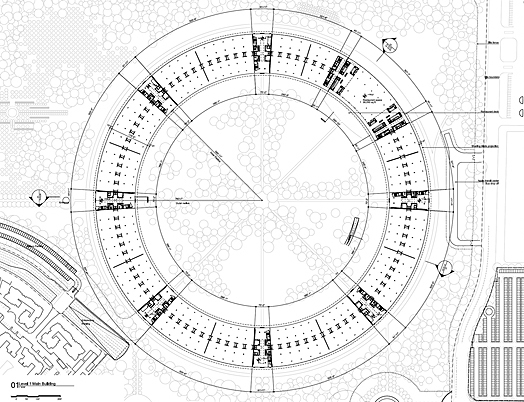 A central garden will gather a fountain, an amphitheatre, dining terraces, and, of course, more trees along the inverse of the building ring. Upon receiving approval of the plans from Cupertino City, Apple will begin construction, with a projected completion date of 2015.